Juan Dingo is back in the Injustice: Gods Among Us lab to provide some more content. A 44-percent Raven combo tutorial is being showcased this go-around. 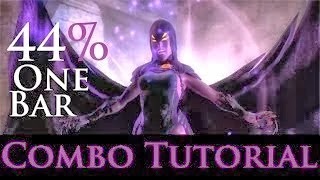 Fresh from the YouTube library of Juan Dingo is a 44-percent Raven combo tutorial for Injustice: Gods Among Us players. The combo utilizes just one bar of meter.